Network Rail has signed up Manheim to remarket 7,000 vehicles over the next three years. Following a period of using outright purchase for its fleet, the rail operator is now disposing of the vehicles, which comprise 80% light commercials, including car derived vans, panel vans and specialist messing units as well as 4x4s and pick-ups, with the other 20% made up of company cars and a fleet of branded pool cars. The sole supplier deal will see Manheim deploy its ‘swift’ de-fleet process, ensuring the vehicles are comprehensively prepared pre-sale. This includes 360-degree turntable HD imagery and electronic inspections. 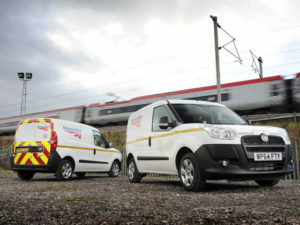 Network Rail will also work with Manheim to ensure all de-fleeted vehicles are presented for an MOT prior to sale, in line with the rail operator’s ‘everyone home safe every day’ safety culture, as well as full and comprehensive service records and ownership documentation to demonstrate provenance. The initial CV sale takes place at Manheim Shepshed on Monday 23 October followed by a car auction at Manheim Birmingham on 30 October.